Hi everyone and welcome to the first post-Linus meeting blog update! In the past, these updates have been posted on the Linus Yahoo! Group. Meeting updates will now be here on the Linus Blog to make them easier to find and more accessible to anyone not on the Yahoo! group. Please continue to use the Yahoo! 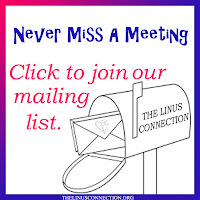 Group to contact other volunteers and ask questions between meetings and visit the Linus Blog for meeting updates and messages from Executive Director, Stephanie Sabatini (such as her first post, which you can find here). The Linus website, as always, will be available and packed full of Linus event photos and oodles of useful information! If you missed today's demo, you can get a copy of Osie's handout with suggestions of what to do with 2 1/2" strips here. November Show & Tell Photos are online! There were lots today, so make sure you go have a look. You can find those right here. A huge thank you to the Round Rock IKEA for their generous donation of reusable shopping bags. In future months, Linus will be using the big blue bags for blanket delivery! 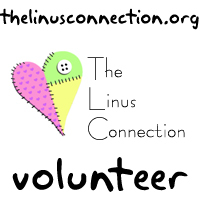 Honey Bee Quilt Store will be hosting a Linus Work Day on Saturday, December 12, 2009 from 9 am - noon! Bring your sewing machine and enthusiasm to Honey Bee Quilt Store on Anderson Mill and join us for a morning of quilt top making for Linus! 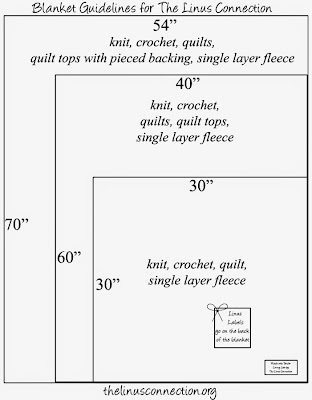 Fabric kits will be supplied. 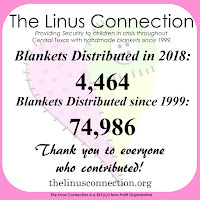 While you're there, be sure and pick up some supplies and tell the Honey Bee staff how much we appreciate their continued support of The Linus Connection. If you're coming to the December Linus meeting, please consider bringing a sweet or savory treat to share at this last meeting of the year! 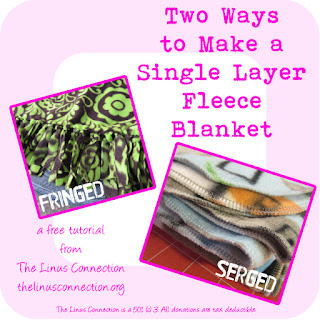 Lastly, please have a look at the links on the right hand side of the Linus Blog. You can become a fan of Linus on Facebook, grab a Linus volunteer icon to use on your own blog or other sites you belong to online, and visit some of our favorite links! Bookmark the Linus Blog or add it to your RSS feed and come back to visit often!